"Cruise tour along the Yangtze River"
What is the best time to have a Yangtze River Cruise? How to reserve a ship? How can I log on the internet on board? What preparation should I do for the shore excursion – the Lesser Three Gorges? Lesser Three Gorges is situated along the Daning River, one of the main tributaries of Yangtze River, with a total length of about 250 kilometers(155 miles). 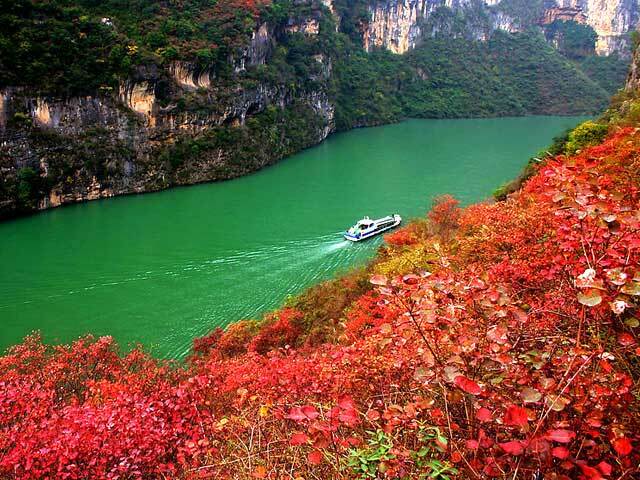 The river is relatively small, but it exceeds Yangtze's Three Gorges in beauty and tranquility. 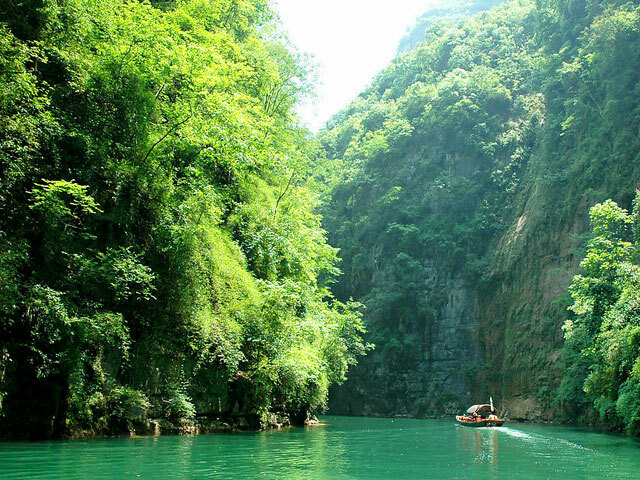 Thus the Lesser Three Gorges, also known as the Three Little Gorges, have begun to gain popularity nationwide. Drifting along with the Daning River tide, one will pass through the Longmen Gorge(Dragon Gate Gorge), Bawu Gorge(Misty Gorge) and Dicui Gorge(Emerald Green Gorge). The gorges stretch along the river from north to south for 50 kilometers(31 miles). Waterfalls are found among the green covered mountains. The natural scenery is spectacular, striking a sense of wonder and awe. It makes for an excellent natural scenic backdrop for photography. With the filling of the Three Gorges Reservoir, Daning River has become broader and more tranquil. Also, there are now riverside resorts available for visitors to enjoy. The best way to capture the true wonder of the site is to take a boat ride along the river. The sites on the way will not disappoint. In addition to the cool and refreshing river, one can spot the site of the Ancient Plank Road on the cliffs of Longmen Gorge. This gorge also has many imposing peaks that resemble various interesting forms and can stoke one 's imagination. In the Bawu and Dicui Gorges, stalactite formations and similar odd landscapes are everywhere. Drifting through the serene and vivid landscapes will give a true appreciation for unspoiled nature and help refresh the weariest of travelers.